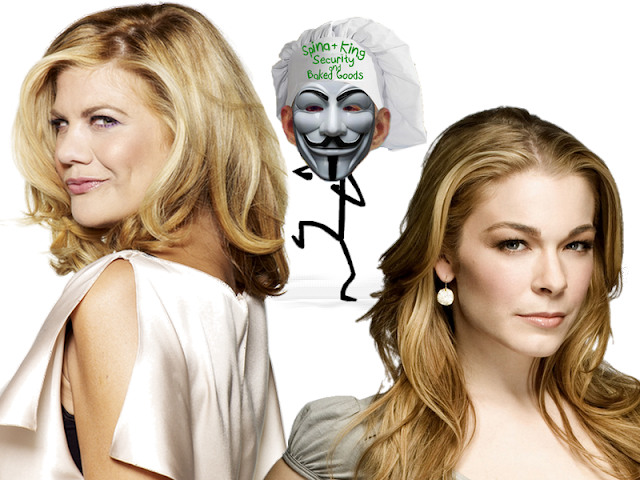 Did Leeann Rimes Hire A Hacker To Harass Kristen Johnston? Most everyone is hearing about Brandon King and his trolling of Brandi Glanville for the first time. While there may be questions as to whether Leeann Rimes hired convicted felon Brandon King to harass on her behalf, there is no question that Kristen Johnston was one of King's targets. Ms. Johnston, known as @KjoTheSmartAss on Twitter, chronicled the details of her harassment almost THREE YEARS AGO in 2014. 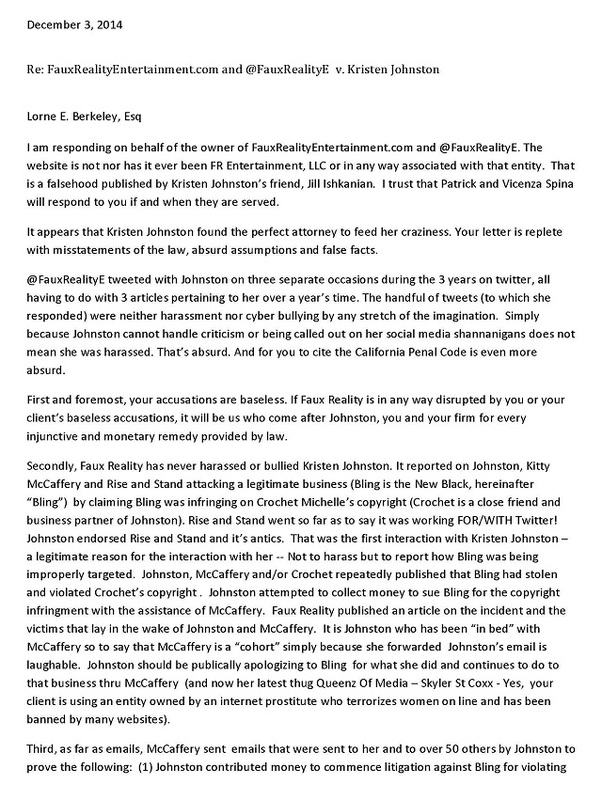 The harassment of celebrities and their fans by Brandon King and his boss, Vincenza Leonelli-Spina, has been going on that long. Spina and King used a lot of Twitter sock accounts to troll Kjo, among them were Kjosbigmouth and Kjosvagina (classy huh? ), and make crude, degrading remarks to and about her, her career, her sobriety, the way she looked, what she wore, what she said, what she did, anything and everything. In addition, Spina got a hold of emails written by Kjo, altered them by adding a paragraph or two to make Kjo look bad and then posted them online. Vinnie Spina is the blogger on FauxRealityEntertainment.com which is registered in Brandon King's name. 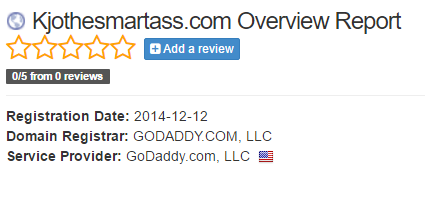 Another domain owned by King is kjothesmartass.com. 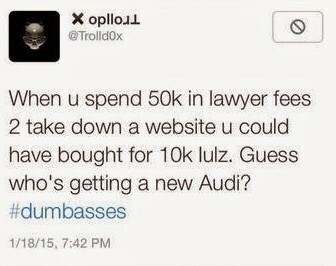 Spina and King bought the domain and then tried to extort Kjo to pay them $10,000 for it. 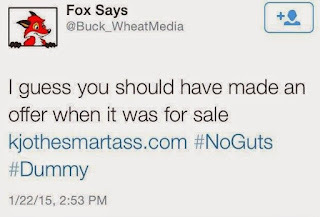 In the screen caps below, @Buck_WheatMedia was Vinnie Spina, before that account was suspended. 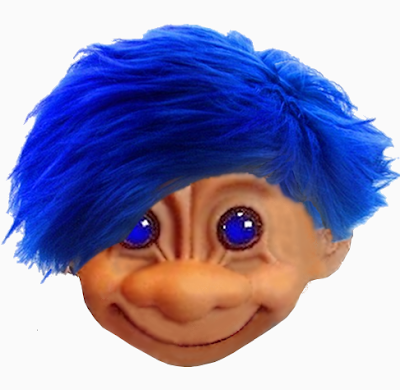 Trolld0x was Brandon King. 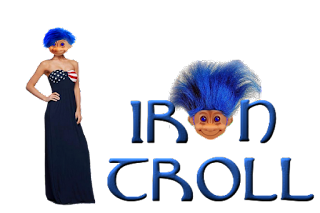 Note: Trolldox was also the name of a website registered to Brandon King where he and Vinnie Spina posted the names, addresses, relatives and pictures of the people they were harassing. The harassment by Spina and King has been going on for years and many of us have wondered why they were doing this. So the court transcript posted by Bullyville was very enlightening. Brandon was getting paid. And Vinnie Spina had clients. And Kjo may have pissed off a celebrity that had more cents than sense. Below the break are some interesting events and dates. Kristen Johnston is a long time friend of Andy Cohen of the Real Housewives dynasty. She appeared on his show in the summer of 2013 and made a comment about Leeann Rimes. Kjo tweeted this pic out in April of 2014, the picture was taken before Real Housewives began. 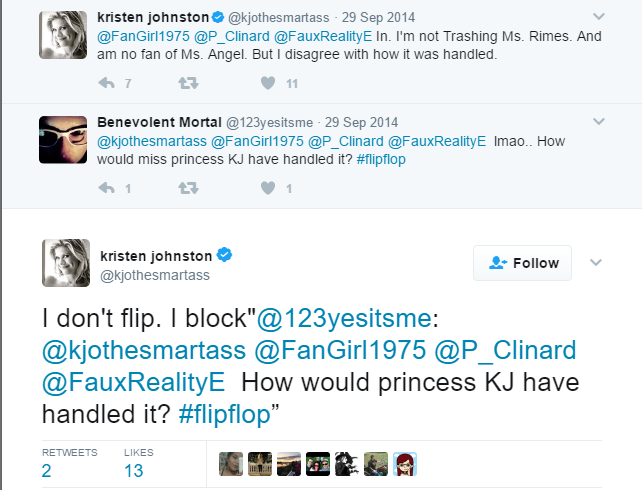 The tweets below are from September 28th, 2014 where Kjo comments about Leeann Rimes having a blogger removed from one of her concerts. 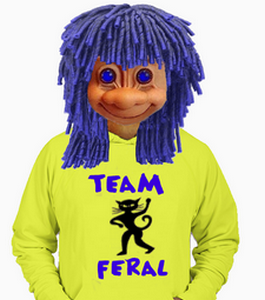 Vinnie, as FauxRealityE, wasn't happy about the comments. Her account was suspended for harassment so her tweets are no longer available. 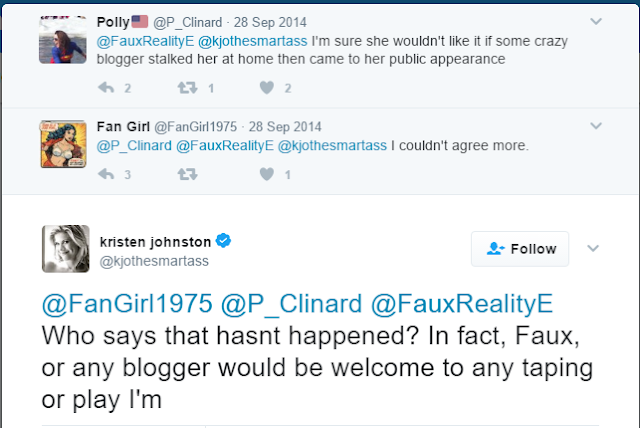 By November of 2014, Vinnie was in full blown troll mode and wrote a nasty article about Kjo on her blog. Kristen used an attorney to ask Vinnie to cease and desist harassment and defamation. Vinnie, who was a lawyer until she was disbarred in 2008, replied with a snotty letter on December 3rd. Here's the first page. 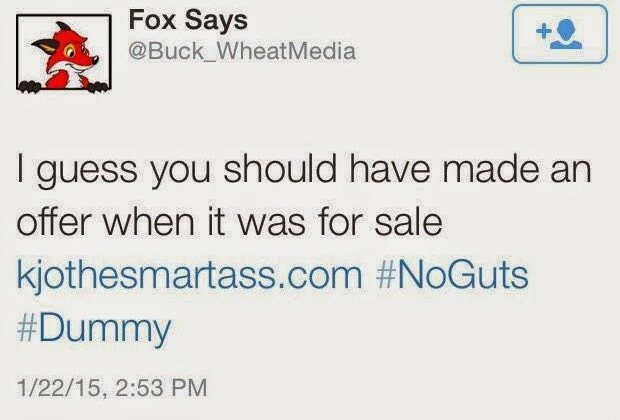 A little over a week later, on December 12, 2012 Kjothesmartass.com was registered. Granted, it's not pleasant when people don't like you but to hire a troll to harass your critics is pretty silly if not outright sick. An investigation into what Spina and King have been doing for the last several years would be a good idea. Sadly, Kjo hasn't been on Twitter since December but check out her blog at kjosbigmouth.com. Hopefully she'll return to Twitter soon.